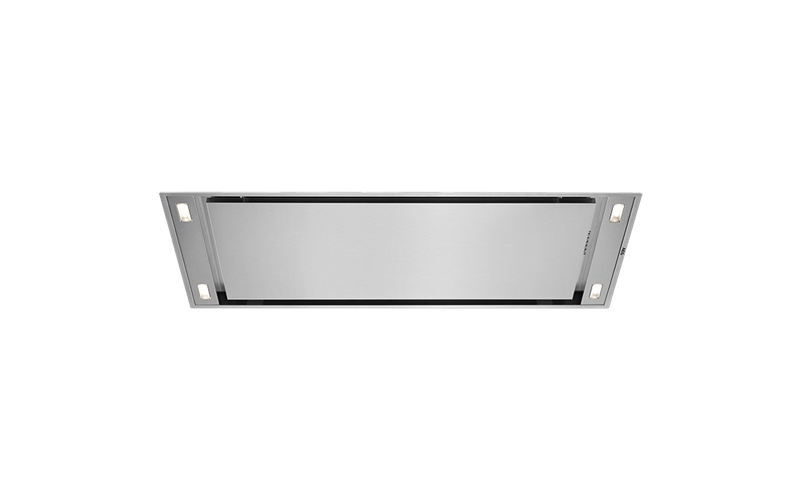 120cm Ceiling Hood, Remote Control, H2H is rated 4.4 out of 5 by 5. Dimmer-controlled LED lighting means you can adjust the effect at the touch of a fingertip. Being highly efficient, LED lights save on energy too. Rated 4 out of 5 by BJ123 from Great product This is a great appliance. I am disappointed with the remote. I have to press the buttons multiple times for the unit to respond. Rated 4 out of 5 by Deabo from Awesome range hood! We've been using it for over a month now. It's handled everything we've thrown at it so far and the features are awesome. It happens to also look great too!!! Rated 5 out of 5 by sueweston1 from fantastic product fantastic product, incredible technology, looks good and works well. Rated 5 out of 5 by DavidA from Is it odd to call an exhaust fan stunning? A stunning feature to the kitchen. Perfect for the island bench without having to see a canopy from the ceiling. Works perfectly.